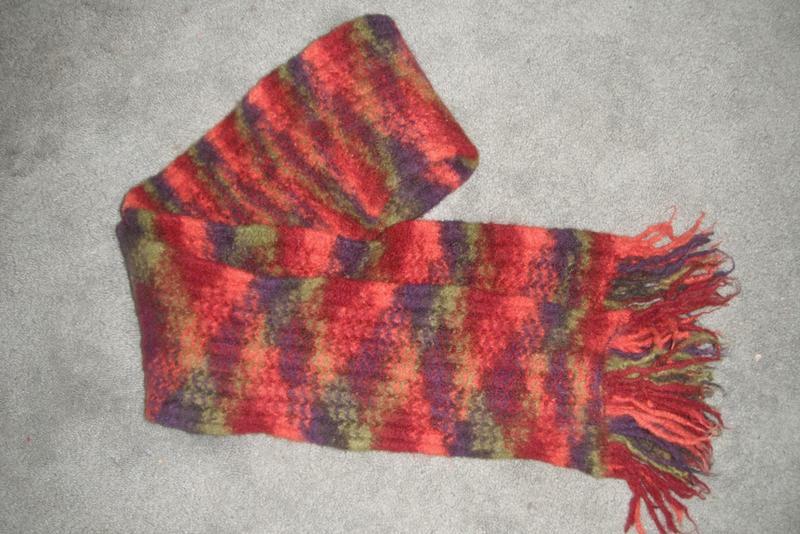 My finished felted scarf. It's actually knit, and I like how it kinda made an argyle pattern, but I'm not completely thrilled with it. It got a little too stiff. I guess I should have knit A LOT looser! It's very pretty. :knitKnitting looser probably wouldn't have helped it not be so stiff. It's the length of time that you have it in the washer that felts it tighter making it stiffer. I bet that it's really warm though. 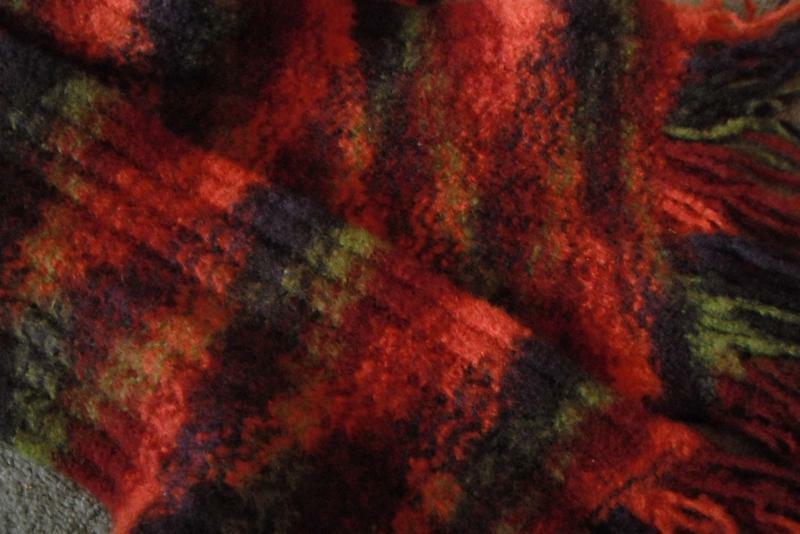 Its a beautiful pattern, and a lovely warm scarf! :thinkIt never occurred to me to take it out of the washer earlier. I wanted it very gently felted, but wasn't sure how to make that happen. Thanks so much for the tip! Oh, I like it...very nice!